Could I Just Get a Milkbone? There’s probably some cosmic psychology out there to explain why animals outnumber people in my household. Right now the score is 2-1, and they’re winning. Cats used to be my pet of choice, but no longer. Now it’s all about the dog. In an effort to do my part to rescue the swelling animal shelter population, I adopted a calico cat - Bebe - a few years ago. She’s nice enough, but kind of useless ever since the dog appeared on the scene roughly 8 months later. Bullet is either a Siberian Husky, an Alaskan Malamute or a mixture of both. He’s the third dog I’ve owned from that breed "family", and you’d think by now that I’d learn how willful and wily they are. I’m just a total sucker for those ice-blue eyes and the muzzle upturned into a slight smile. Ever since Bullet moved in with me, he has asserted himself as the alpha. He stares at me and barks when he wants food, water, a bathroom call, to play, or peanut butter in his kong. And it’s up to me to figure out which one he’s demanding. His predecessor, Razoo, used to bark at me when he decided it was time for me to go to bed. In his male glory Bullet demands attention and, if I leave him alone for too long, he punishes me by peeing on a $5,000 antique Scottish armoire. I’d prefer he use the $120 hall tree, but only the best will do. Bebe has established residency on the top floor, as Bullet will not tolerate trespassing on the main floor. The cat is so starved for attention, that she taps my arm repeatedly while I try to sleep at night. Her food and water must be kept in the spare bathroom’s tub...the only place that the dog will not venture to eat it. I don’t brush her enough, so she rewards me by hacking up giant hairballs. If you’ve ever owned one of these dogs, the books tell you that they shed or "molt" once or twice a year. They lie. Bullet sheds 24 hours a day, 7 days a week, 365 days per year. I’m tempted to save the hair to market a Fur-pedic line of mattresses. My homeowner’s association requires me to "pick up" after my dog, so I stroll down the street with poo-filled bags, praying that they don’t biodegrade as quickly as the store that supplies them has promised. I try not to think about the march of time that makes me more like Bullet, losing hair, barking complaints while my kids try to figure out what I actually want them to do. Let’s hope I don’t live so long that they’ll have to stock up on those plastic bags. You know the gratifying sensations experienced when taking possession of a new car: the smell, the reflected glory of the unblemished exterior finish, as well as the spotless carpeting and upholstery. It's difficult to pinpoint exactly when these feelings dissipate...unless you have kids. Concrete rules are laid down, such as "no eating in the car" and "nothing but water to drink in the car", but these are futile commandments, doomed to evaporate the moment you plan your first vacation. I vaguely remembered similar experiences until a recent trip with my daughter and two grandchildren. To paraphrase a famous author, "Never was there a story of more woe, than this of Sarah and her minivan." Entering the vehicle, I sat alongside a 6 year old and an 8 month old - death to any new vehicle. I didn't have the heart to tell my daughter what awaited her sparkling new Honda Odyssey on a 3-day trip to the beach. She was resigned to the sprinkles of sand that would surely make their way inside and, truth be told, we weathered the trip fairly well, given the ages of the occupants. There only remained the trip back home. When I took a turn driving, my daughter's voice shrieked, "Did you make those marks, trying to put the key in the ignition?" I pointed to her 5-pound set of keys that swung pendulously in my defense, silencing her until the baby spit up on her after nursing. "Watch out!" she screamed as the car moved 3 inches over in its lane while I reached for the tissues she needed to clean herself off. Things settled down until the third replay of "Monsters, Inc." and "Enchanted". The small people moaned with hunger and she proclaimed it was time to stop at Sonic. The minature occupants were told to eat carefully (rules #1 and 2 had now been cast aside) and we then pumped gas for the remainder of the drive home. The 6 year old was tired of movies and wanted to color, but her mother lived in fear of lost crayons, melting in the summer heat. We compromised, and she was allowed to use one crayon at a time. I handed her the box to pick out a color when, distracted, she let the box tilt and 80 crayolas cascaded to the floor. In her distress, she spilled some of the cherry limeade. The resulting maternal explosion woke the baby, and so we sat on the shoulder of the highway while Sarah angrily plucked crayons, the 6 year old wept and the baby screamed in memory of the demise of the new car. Now we can finally relax and enjoy it. In the United States, Father's Day is a holiday which was created in order to honor fathers. It originated in Spokane, Washington through the efforts of a woman named Sonora Dodd, who came up with the idea while listening to a sermon on Mother’s Day. She wanted to create a similar day in gratitude to her father, a Civil War veteran, who raised her and her five siblings after their mother died in childbirth. Religious leaders supported her idea, and the first Father's Day was celebrated on June 19, 1910, the month of the birthday of Dodd's father. In 1924 President Calvin Coolidge gave his support to the idea, and in 1966 President Lyndon B. Johnson officially proclaimed it a national holiday. Observance on the third Sunday of June was decreed by law in 1972. The definition of a father has broadened from the strict biological sense to include those who have voluntarily taken on the role of male parent. There have always been absentee and even bad fathers, but a new mutant breed has risen: the "Unfather". This unique male professes love for his child, but lacks emotional investment in his creation. He is the equivalent of the Ronco rotisserie in his "set it and forget it" approach. Although millions of financially bereft mothers would willingly trade their situation for the father who actually provides financial support, real parenting requires much more than dollars. Most of us have heard and can identify with the frequent female lament of the "loss of self" that occurs after the birth of a child, but have you ever heard anything remotely akin to that from a man? This is not meant as some all-encompassing male-bashing rant. On the contrary, there are many men who are profoundly dedicated dads. They understand that just having a job and supporting their family is not parenting. Through the example of their own fathers (both in emulation of or in reaction against), they have had the right stuff instilled into their character. Parenting is an afterthought to the Unfather. The constant commitment of communication, spending time together and taking his child’s emotional temperature is unfathomable to him. He is the perfect candidate for the "Dad Phone App": the program that automatically reminds him of birthdays as well as important events such as first dates, school test results, insights on relationships with girls/boys, etc. Sadly, the human equivalent of such a system is all too often his wife. A true father works to unfold the uniqueness in his children’s hearts, to teach them the true meaning of discipline so they learn to make affirmative choices on their own. Helping children to see into others' character so they can recognize those who bring out the best in them versus those who intend them harm is not an easy task. Raising children into mature adults who know their strengths and use them to create a life of meaning and fulfillment is one of life’s most rewarding ventures. Become the best parent and person you can be. If you’re not willing to rise to the challenge, then you don’t deserve that neon, polka-dot tie you just opened. As our minds improve (cough) - alright, age - the experts tell us that there are things we can do to stave off the inevitable. Some recommendations are palatable enough, such as maintaining social contacts, staying active, and doing crossword puzzles. Friends and activities are easy enough and fun to boot, but puzzles....meh. I get the basic idea which is exercise for the mind, like mental barbells, but I have a much better alternative. 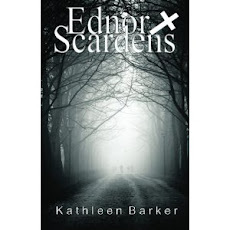 Some of you may know that I recently wrote a book....a Young Adult/Women’s piece of fiction entitled "Ednor Scardens" (she plugs shamelessly)....and one of the tasks I’ve recently tackled in conjunction with that endeavor was to create a book trailer. Just like the endless clips we not-so-silently curse while sitting in a theater, waiting for the movie we actually paid to see, it’s a video advertisement that is supposed to entice a viewer to want to buy/read the subject book. But unlike the slickly-produced pieces born of bottomless wells of talent and cash that we’ve grown accustomed to, this is self-produced by an author with limited expertise and even less cash. I had no idea, so I ‘googled’ the topic. After wading through the hits, I settled on Windows Movie Maker. Alright, I really wanted the Apple iMovie program, but unless a lot more of you buy my book(s), I’ll be saddled with the former. It looks simple enough: upload some pictures and music, patch them together, save and play. My brain cells snorted condescendingly and tied one arm behind their collective back in underestimation. Just look at the thousands of "Twilight" fan videos....how hard could it be? Since copyright violations can cause serious complications, I opted to browse through my actual and virtual personal photo trove in search of suitable material. Hours passed.....and I closed the last one, still empty-handed. So I went online in search of ‘public domain’ pictures, and could have found a few suitable images if I had until 2015 to complete this task.. Finding music to sample was the only easy part, thanks to my bulging iTunes library. I knew what my own book was about, so captions were done in seconds. All that remained was putting the pieces together, right? Enter the pinata. Just like the current automaker’s popular commercial, most of us have been to a birthday party where countless attendees whack away at a too-well-made paper mache creature who refuses to reveal its treasures. My technical pinata had been soldered so seamlessly that after nine hours, I have 52 seconds of video that I can call a starting point. Echoes of yesterday’s frequent, malevolent, ear-splitting curses still hang like a mist in my living room this morning. Please pardon my grey matter as it sprawls on the couch, savoring the nugget of hard-won candy. For decades, one of the time-honored hallmarks of maturity was being able to drink to excess without showing that you had. It took practice, and involved multiple variables: how much you weighed, how much you’d eaten and how long ago, and the percentage of alcohol your beverage of choice contained. Practitioners of Alcohol Mathematics were doomed (“If I feel this good after four drinks, then I’ll feel twice as good after eight”) by their false logic. Beginners had to rely on friends or family members for their introduction. Most of us weren’t lucky enough to have family functions where we were allowed a single mini-glass of wine in celebration. My own introduction came at the hands of a girlfriend who lived 3 doors down from me. She was alcoholically more advanced than I was, having imbibed the vanilla extract from her mom’s kitchen for years. We played together as little kids and hung out at each other’s houses during our pre-dating years. One evening her parents were going to be gone for several hours and she invited me over to watch a television show. She pulled out some bourbon, mixed it with cola and offered it to me. We had two or three tumblers full and drank them quickly, not knowing how soon her folks were returning home. My mother had taken my grandmother to the grocery store, so I had even less of a window to return. Our row houses were built on a ridge with two hilly slopes that rolled down to the sidewalk and street. Most owners had created narrow, flagstone paths across the top of the upper slope to avoid having to go down and then up two sets of steps to visit a neighbor. When I finally decided to go home that night, I headed straight for the foot-side path to get to my front door as quickly as possible. The dark night and tunnel vision of the inebriated prevented me from seeing that my mother and grandmother had already parked and exited the car at the bottom of the hill. Like a tightrope walking aerialist, I quickly navigated the path until my mother called my name. Startled, I lost my balance and tumbled down the hill, landing directly alongside her. She rushed my grandmother into her house (she lived next door to us) and then followed my stagger up the steps. As soon as I got inside and headed upstairs to my bedroom, I felt the bourbon creeping back up my throat. The closest drain was in the bathtub, so that’s where I unloaded the night’s menu as my mother’s heels clacked up the wooden steps close behind. I can still feel her hands, holding back my long hair and wailing, “Where did I go wrong….oh, god, girl!” Of course, the next day was brutal, but I’m sure she took a certain satisfaction in it. I think I should have taken the weed path instead of alcohol, but it was much more difficult to find supply contacts back then. And pot had an aura of evil back then. People envisioned smokey Fu Manchu dens until the Peace and Love era popularized it. My friends and I drank to get high and raise hell. Now when I drink, I fall asleep.